"Only people over 30 get HIV. Only promiscuous people get HIV. Only low income people get HIV. Everyone's doing safer things these days. The check is in the mail. Not! Am I doing something? Call AIDS Rochester 442-2200. There is always someone to tell you nobody likes a wiseguy. But today we all gotta be one. 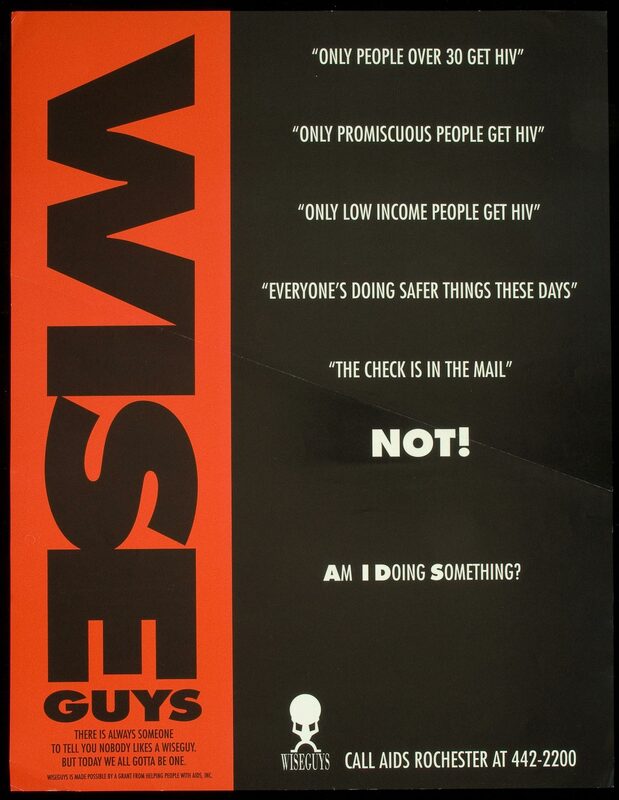 Wiseguys is made possible by a grant from Helping People with AIDS, Inc."
Text on black and red background.